Old coloured map of the Lake Geneve, Haute-Savoie. 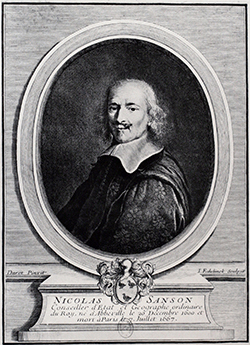 Printed in Paris by Pierre Mariette in 1663. Coloured map of Northern Germany. Printed in Paris by Jaillot in 1692. Large map of Bavaria fron Nicolas Sanson, engraved by Jaillot. Nice coloured catrouche with coat of arms. Printed from two plates, joined. Coloured map of Bavaria. Printed in the year 1692. Old coloured map of Palestine, Jerusalem, Mediterranean. Printed in Amsterdam by P. Mortier circa 1700. Rare and detailed map of the Alsace from N. Sanson by P. Mariette. Covering the area around Strasbourg with details of Black Forest and the Vosges Mountains. Dated 1659 in the plate. Coloured map of Strasbourg, Alsace. Printed in Paris by P. Mariett in 1659.